The Bulle MOLLE box magazine pouch is patterned after the original US issue box magazine pouch for MOLLE systems. 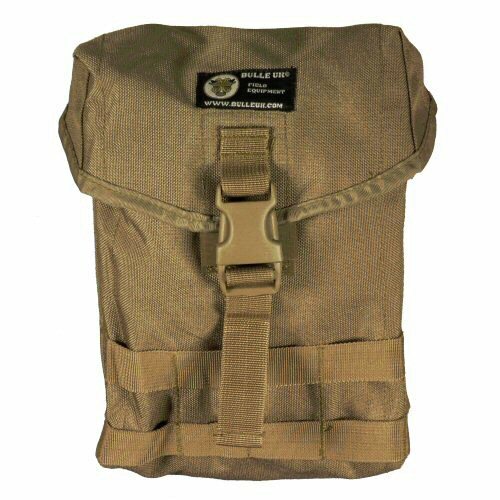 The sides and front of the pouch are fitted with MOLLE webbing to allow smaller utility pouches to be added if necessary. The pouch closes with silenceable velcro and a Duraflex quick release buckle. 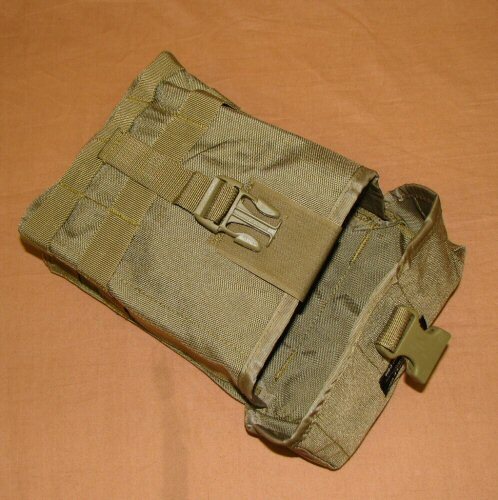 The rear of the pouch is fitted with two MOLLE straps which can be interwoven into the MOLLE base. 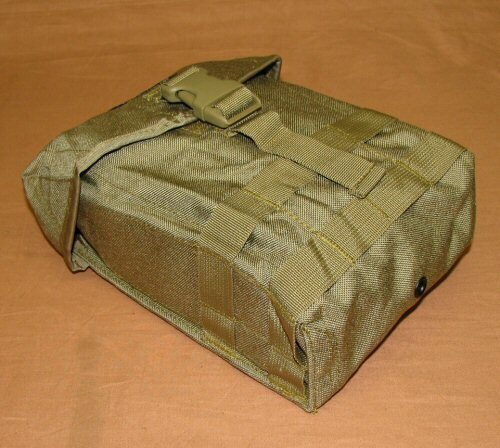 The box mag pouch can also be used as a general purpose utility due to its size if necessary. 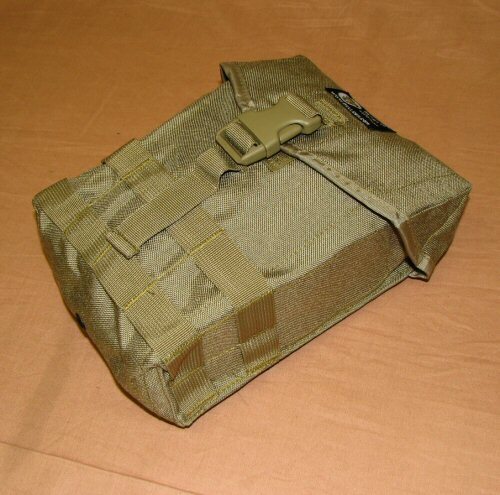 The pouch is made of 1000D Cordura nylon and all plastic furniture is made by Duraflex for military applications. Please note side stiffeners have a fault which causes them to be brittle. They may be removed without any loss of function of the pouch. Price is for one pouch only. Angled view of right side of pouch. Angled view of left side of pouch. View of the pouch with flap opened, showing the silenceable velcro and the adjustable quick release clip.